Safe and accessible to everyone regardless of age, balance is the key of this amazing Program with this unique Balance Board ! Choreographed to music, the workout is Fun and Efficient with a lot of modifications for the best experience ! “Everyone can benefit from B-​BOARD® ! B-BOARD® targets a great balance as the centerpiece for advanced strength and physical training. 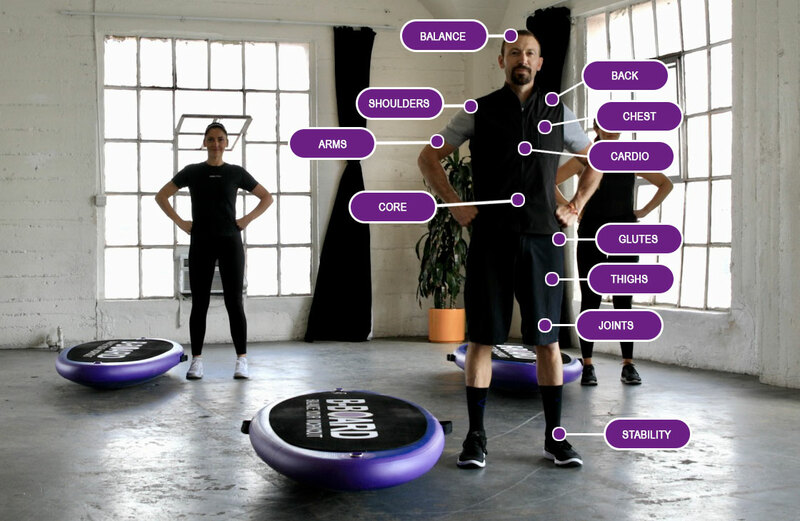 B-BOARD® is a fantastic workout that challenges both static and dynamic balance. This multi-directional workout has a number of benefits for your health, beyond the cardiovascular and metabolic aspects commonly associated with exercise.​ If the body is trained to be more reactive to imbalance, mobility​, posture and performance improve seriously.